It's easy to think of America's Founders only through the images that are left of them, the stoic and often-idealized portraits painted by John Singleton Copley, Gilbert Stuart, and Charles Willson Peale. But regardless of how posterity venerates them, the Founders were a decidedly mixed group in their behavior, beliefs, and morals, as just about any group of white, English-speaking gentlemen from a sprawling colonial society in the 1770s were bound to be. These sketches of Benjamin Franklin (1705-1790) - a writer, inventor, diplomat, printer, Freemason, scientist, and true polymath as well as a Founder - will probably bump those textbook images of him with his kite and printing press right out of your head. I saw the sketchbook on display last fall at the museum of the American Philosophical Society (Franklin was one of the founders of the Society, too, in 1743) as part of their wonderful Curious Revolutionaries: The Peales of Philadelphia exhibition. I've been meaning to feature the drawings in a blog post, and perhaps the last day of the merry month of May is appropriate. Philadelphia artist Charles Willson Peale (1741-1827) was another 18thc man with many interests, and in the course of his long life became a soldier, artist, naturalist, scientist, collector, inventor, politician, museum-owner, and the pater familias of the artistic Peale clan. But in 1767, however, he was still an unknown young portrait painter learning his craft, newly arrived in London to study with fellow-American artist Benjamin West. Like most 18thc travelers, Peale hoped to build his network of connections and possible commissions by calling on other, more established Americans also in London. Among those was Benjamin Franklin, already a celebrated diplomat, philosopher, and bon vivant. Like all artists, Peale also carried his sketchbook with him wherever he went - including social calls. While studying art in London, Charles Willson Peale called upon Benjamin Franklin uninvited. Peale accidentally witnessed the well-known Franklin engaging in promiscuous behavior with a lady. 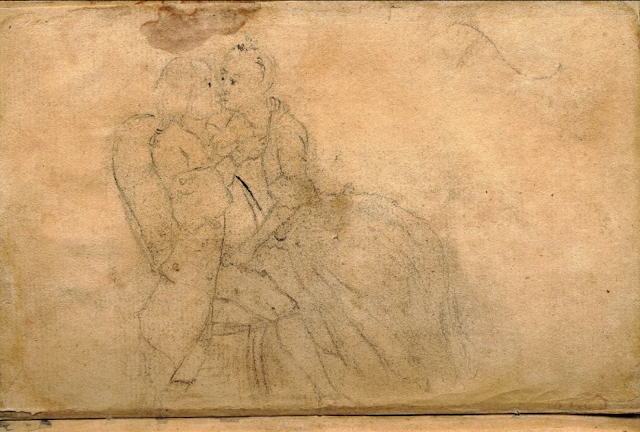 Instead of leaving, Peale secretly sketched the scandalous scene for future generations. 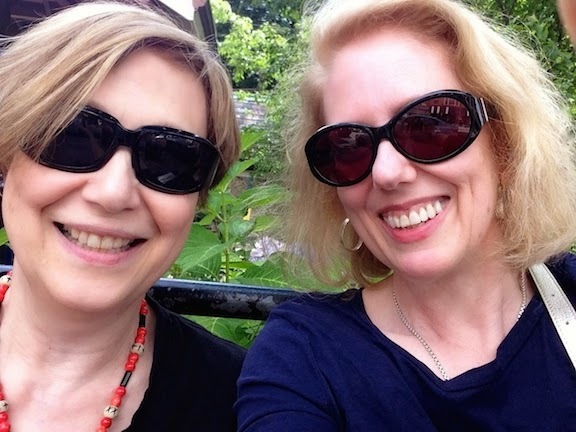 There's no record of the amorous lady's name; most likely Peale never learned it himself. He made two sketches on facing pages in in his sketchbook of the couple, right. 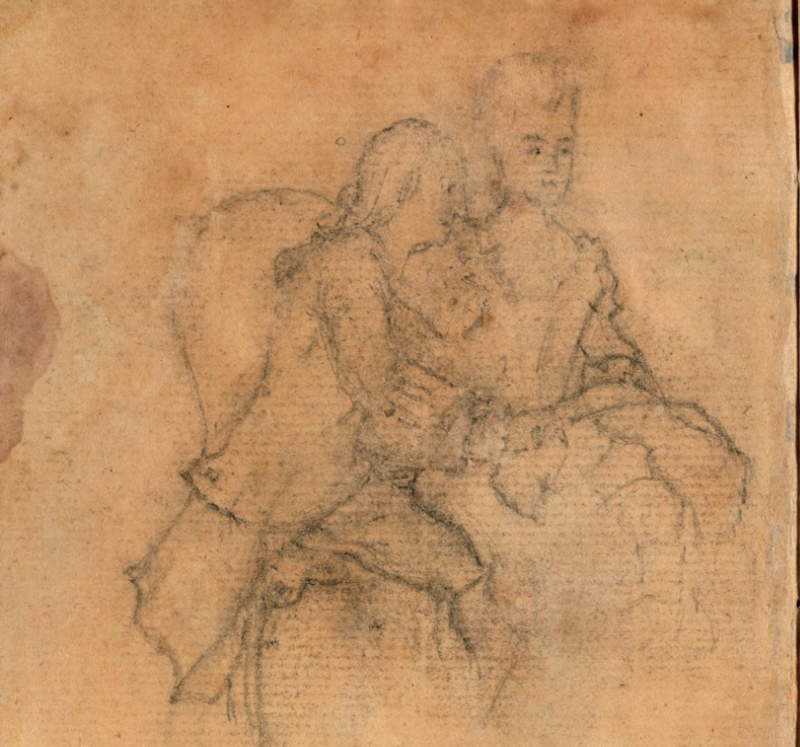 In the APS records, one is titled as Sketch of Franklin and Lady, lower left, while the one above left is called Scandalous Sketch of Franklin with a Lady. Above: Diary Sketch by Charles Willson Peale, c1768, American Philosophical Society.